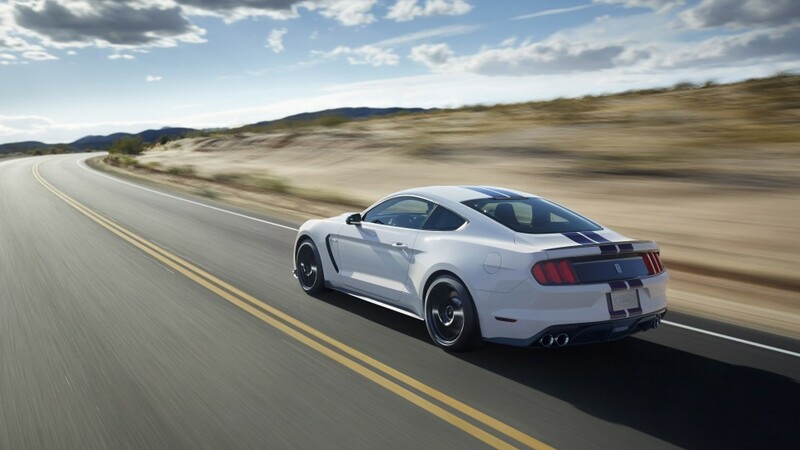 The Ford Mustang has always been a popular choice with drivers in the US. 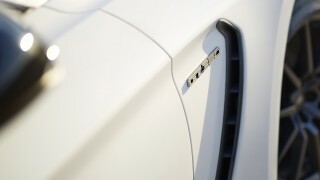 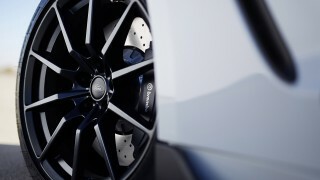 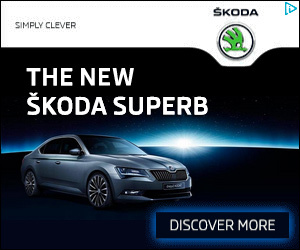 The basic recipe has always been to offer a practical, good looking car with a big capacity V8 at an affordable price. 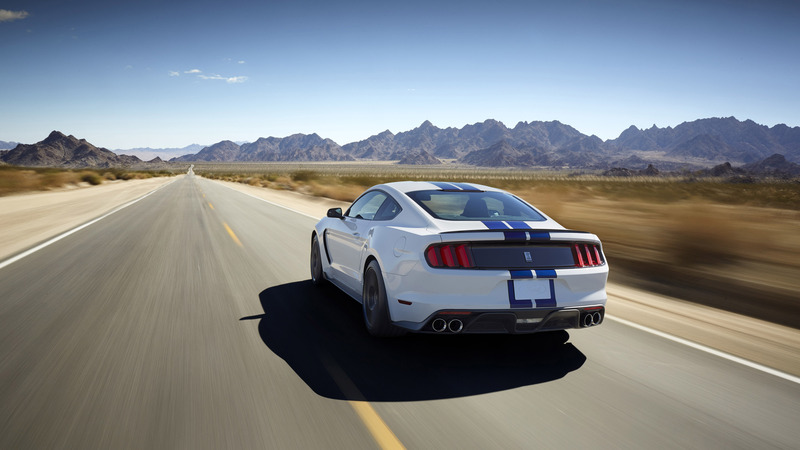 However drivers today require more than just a big engine and want cars that can handle as well as they can go. The good news is that the new Ford Mustang GT350 promises to be the most focused handling Mustang that Ford has ever made with a raft of changes to the chassis and suspension setup over the standard car. 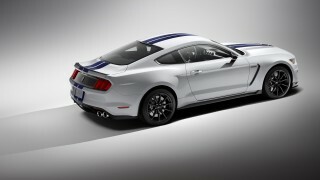 The biggest change over the standard Mustang is to the suspension setup. 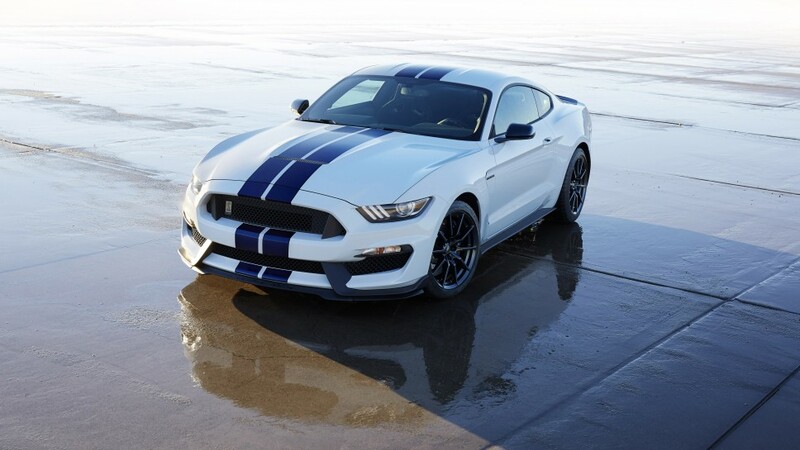 The Mustang GT350 features a very sophisticated MagneRide Damping System that monitors and adjusts itself thousands of times per second. 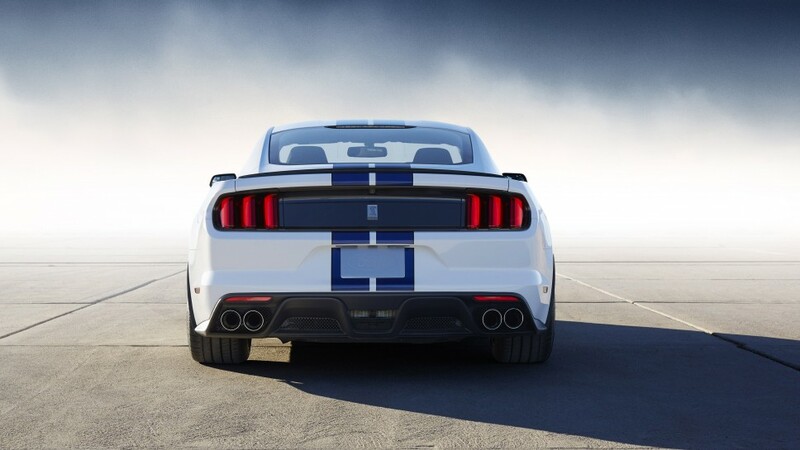 Together with a lower, stiffer chassis setup, lighter components and fully independent rear suspension make this the most focused and track ready Mustang ever. 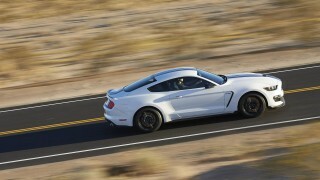 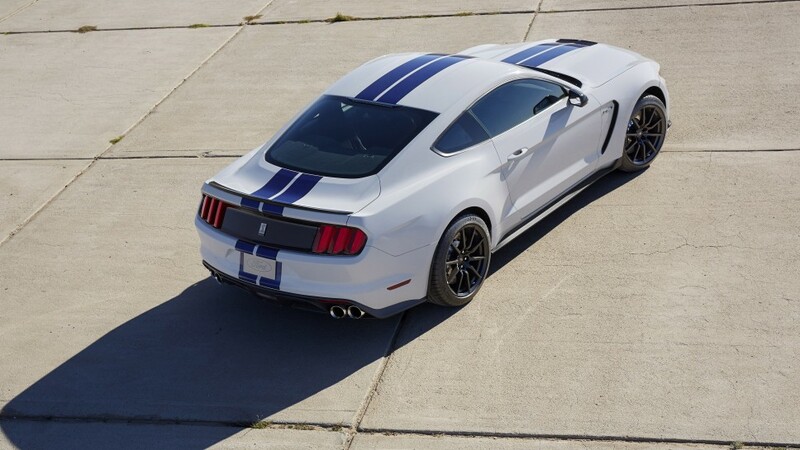 How fast is the Mustang GT350? 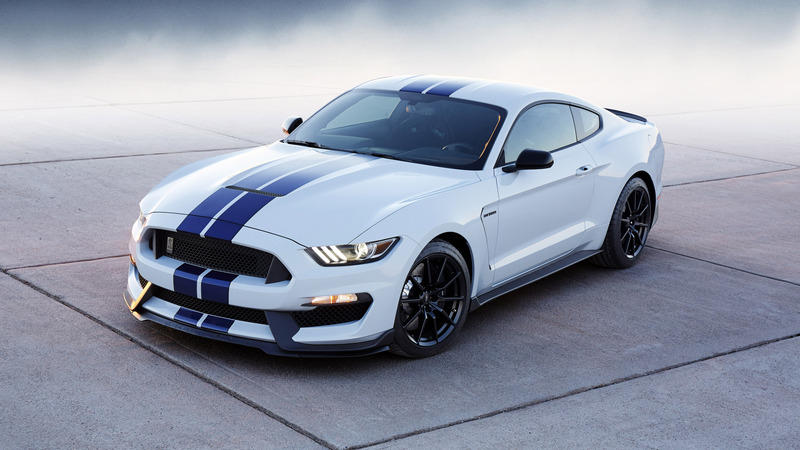 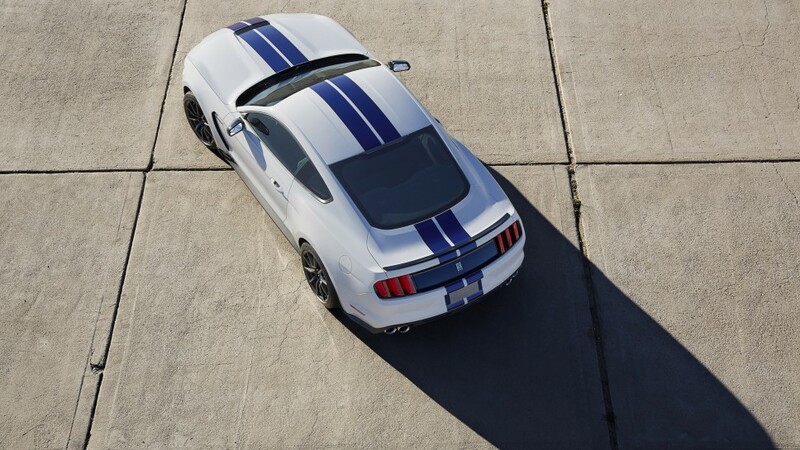 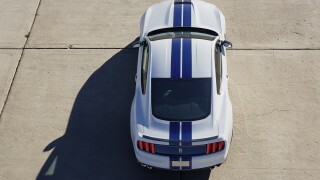 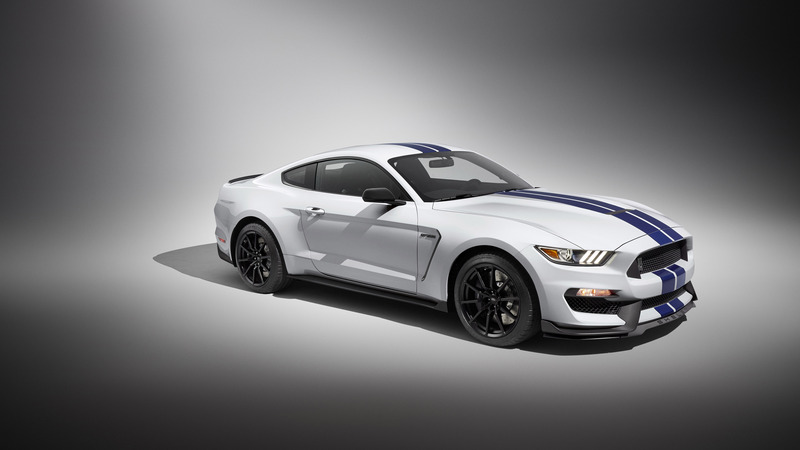 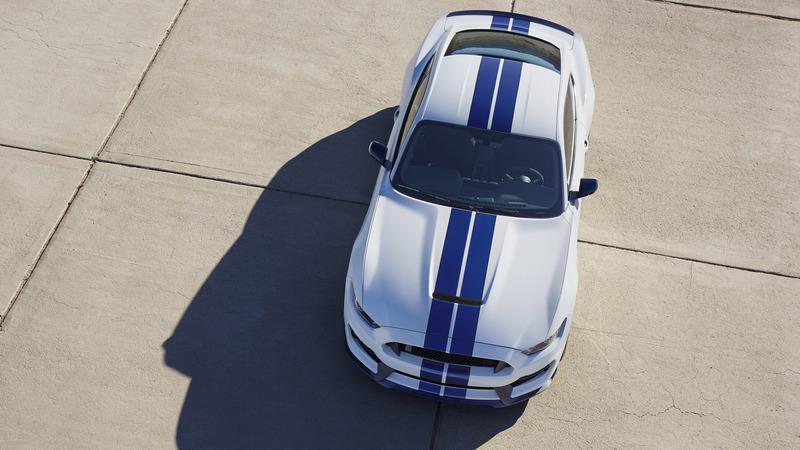 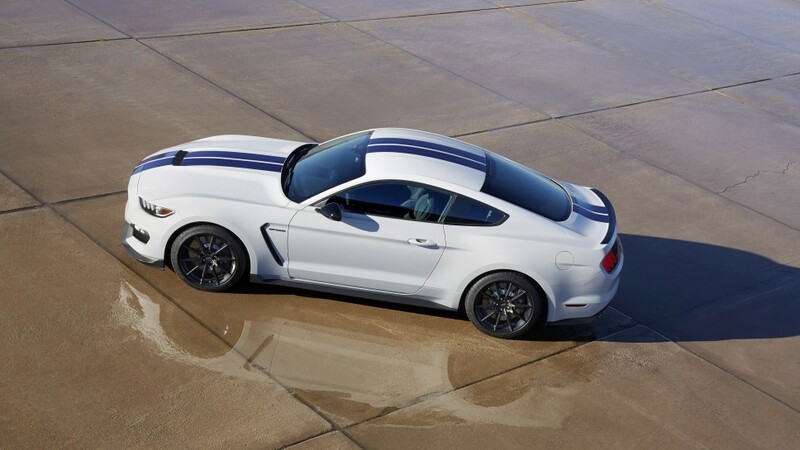 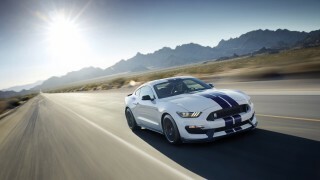 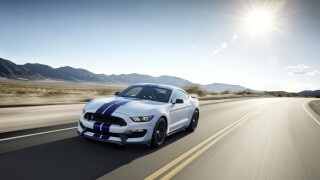 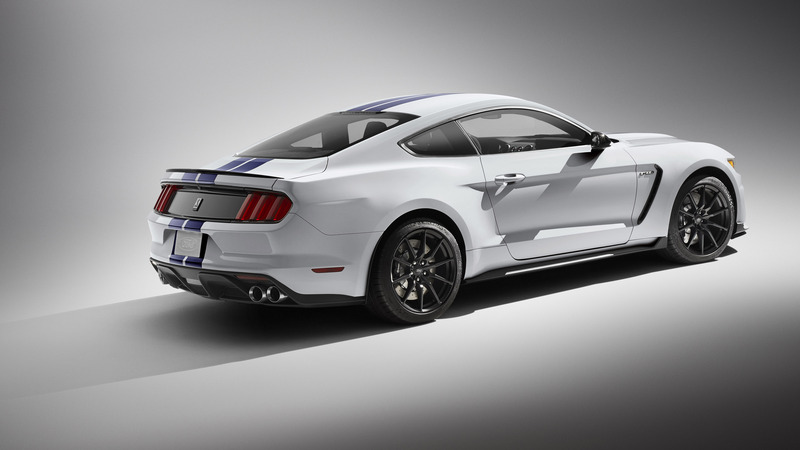 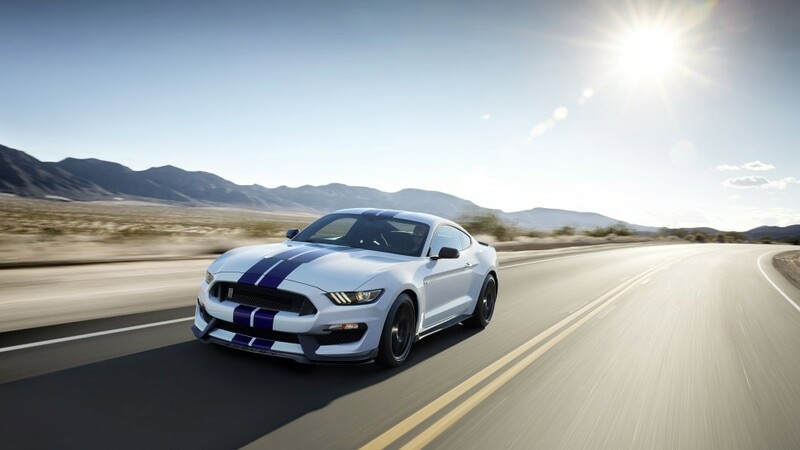 At the heart of the Gt350 lies a 5.2 litre V8 engine that pushes out 526 hp and 429 lb.-ft. of torque. 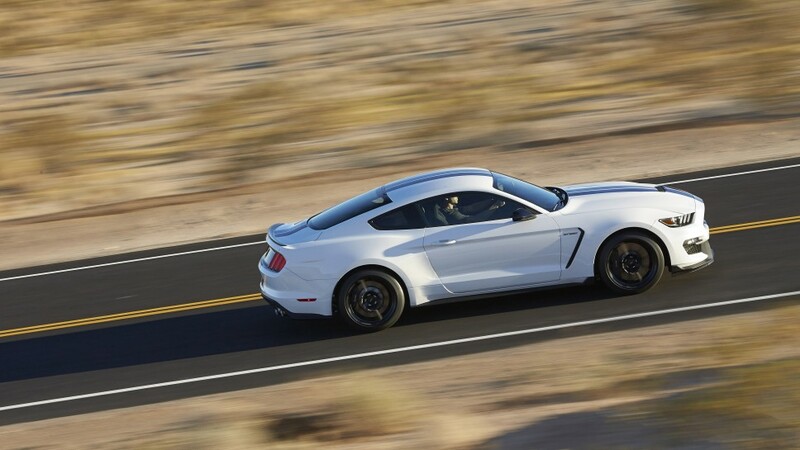 Official performance figures haven’t been released yet but 0-60 mph is estimated to take around 4 seconds with a top speed of 186 mph. 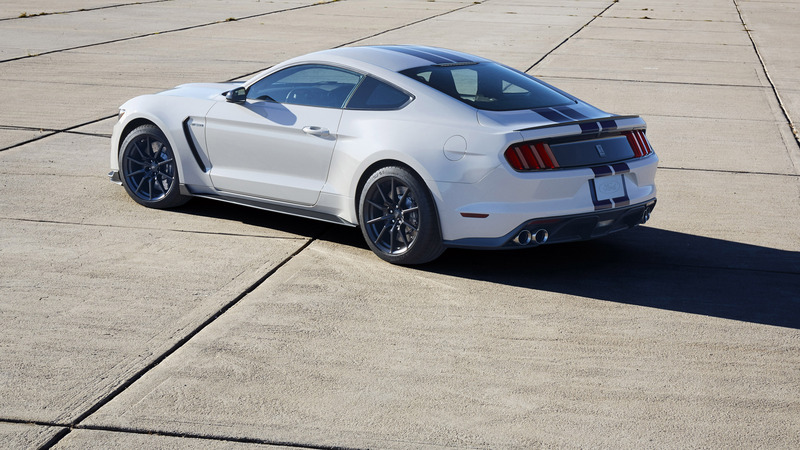 The biggest change to the Mustang’s engine is that the V8 features a flat plane crankshaft which are more commonly associated with more exotic machinery. This will mean a very different characteristic to the way the V8 performs and sounds with rumours that the engine will redline at over 8000 rpm. 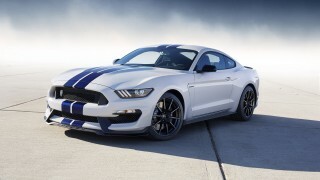 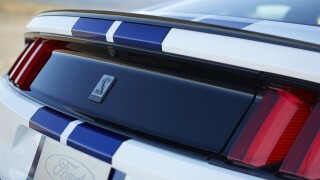 How much does the Mustang GT350 cost? The Mustang GT350 is only available in the USA with the base model starting at $47,795 and a special GT350R model that features an even more aggressive setup and weight savings which start from $61,295.